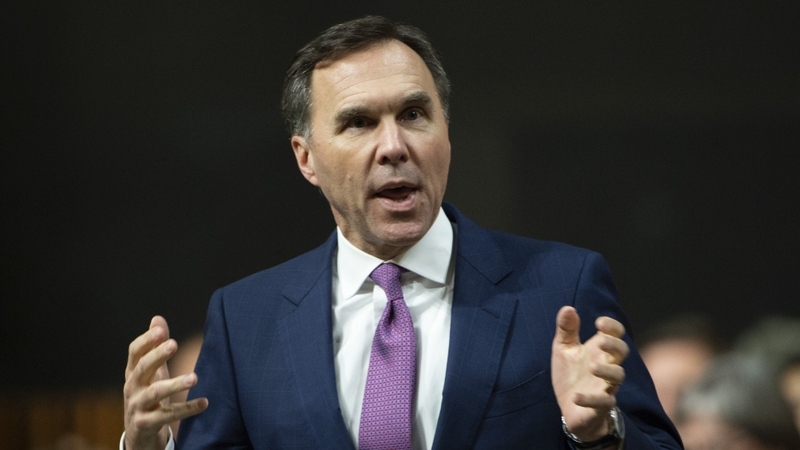 OTTAWA -- Finance Minister Bill Morneau will introduce the Liberal government's pre-election budget on March 19 in a document expected to touch the issues of prescription drug costs, skills training for workers and helping more millennials get into the housing market. The budget will be the Trudeau government's fourth since the Liberals won the 2015 election -- and its final one before the next one in October. After announcing the date Wednesday in the House of Commons, Morneau told reporters that the budget will focus on helping workers get the skills they need for the future and on ensuring seniors feel optimistic about their futures. He has also said the government is looking for ways to make homes more affordable for millennials, while keeping the housing market stable. The Liberals also plan to use the document to lay out how they will achieve their two main goals on pharmacare: keeping costs down and ensuring better coverage for everyone. Each of these issues is expected to be on voters' minds in the leadup to the election. The budget will also provide an update on the state of the federal books -- another area that's expected to be a ballot-box concern for many Canadians. The Opposition Conservatives and some economists have criticized the Liberals' fiscal record, especially after they ditched their 2015 election vow to run only modest annual shortfalls of no more than $10 billion and to eliminate the deficit by 2019. Instead, the Liberals have posted deficits of more than $18 billion in each of the last two years, with no timeline to balance the budget. In its November fall fiscal update, the government projected annual deficits of $18.1 billion in 2018-19, $19.6 billion in 2019-20 and $18.1 billion in 2020-21. After 2020-21, the annual shortfalls are expected to shrink each year, reaching $11.4 billion in 2023-24. Morneau has shifted his focus to reducing the net-debt-to-GDP ratio -- a way of describing how burdensome debt is, relative to the national economy-- each year. "We believe that it's very important for us to continue to be fiscally responsible and that will be demonstrated in our budget," Morneau said. "At the same time, we know that we have an opportunity to make sure that middle-class Canadians feel more optimistic about the future. And there's multiple things that we're going to be doing in terms of skills training, in terms of making sure they have a strong health-care system, making sure that as they move into their retirement years, that they have that sense of optimism." 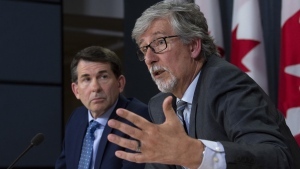 The government has argued the deficits are necessary to help Ottawa lift the country's economic growth over the long term by investing in areas such as infrastructure.